Bar Crusher has again gone the extra mile to set itself apart from other boat manufacturers by producing a DVD owner manual. The innovative step-by-step guide details essential information for new Bar Crusher owners in a clear, plain-spoken manner with an absolute minimum of technical jargon. Featured topics include everything from locating switches and removing clears, through to launch and retrieve techniques, trailer tips – even cleaning and storing the rig to ensure many years of hassle-free boating. Bar Crusher’s Peter Cleland said the company’s DVD owner manual was more inline with the way most consumers now operated. “Given the hectic lifestyle many people lead, most new boaters can’t be bothered sitting down to read a boring printed owner manual,” Peter said. “This easy-to-follow instructional DVD is a much more effective medium for explaining a boat’s features and also for imparting various tips to make boating more enjoyable. 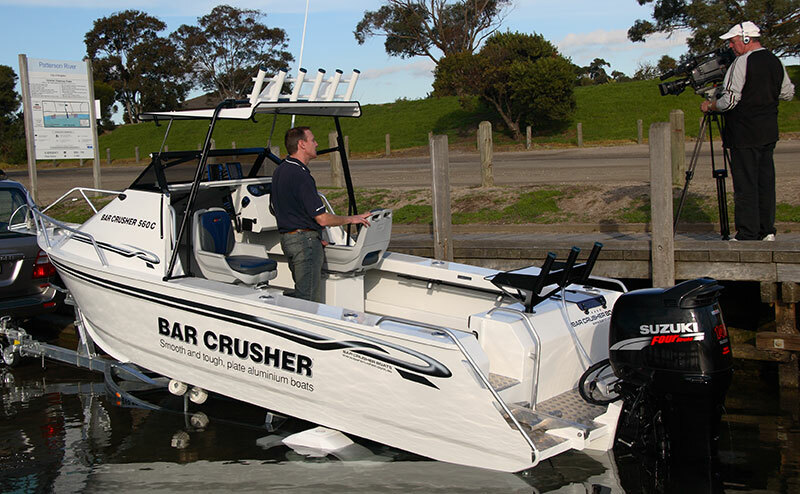 Bar Crusher’s DVD owner manual is supplied with the purchase of every new Bar Crusher boat. Existing Bar Crusher owners can collect a copy from their local dealer, or request a copy online.